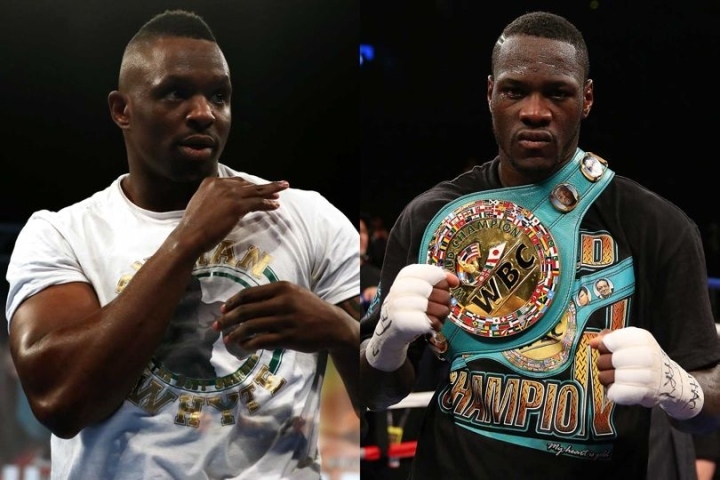 British heavyweight Dillian Whyte is looking for the biggest possible fights in the division. Last month at the O2 Arena in London, he scored a sensational one-punch knockout of Dereck Chisora in their rematch. He won a razor close split decision over Chisora in their first meeting in December 2016. The victory put Whyte in line for a potential rematch with WBO, IBF, IBO, WBA world champion Anthony Joshua, who is scheduled to return on April 13 at Wembley Stadium in London. Joshua stopped Whyte in the seventh round of a heated fight in the fall of 2015. Whyte is a top rated contender under the WBC, and he’s been pushing for a shot at their world champion, Deontay Wilder. He believes Wilder’s style will make him very vulnerable to a knockout loss. “Let’s go, baby. He’s got power – but a good boxer, a decent fighter, can see his punches coming ten miles away. He swings so wide, and he’s got no boxing skills, no boxing IQ whatsoever,” Whyte told Sky Sports. Last month, Wilder and Tyson Fury fought to a controversial twelve round split draw at Staples Center in Los Angeles. Now the two boxers are heading to a rematch. If the rematch does not come off, Whyte would love the opportunity to face Fury – as Wilder would likely be bound to make a mandatory defense against Dominic Breazeale. Whyte is extremely confident that he would score a knockout over Fury, who managed to survive two vicious knockdowns in the fight with Wilder. “Long and awkward, but he’s not very powerful, and he can get hurt, as he proves time and time again. In most of his fights, he gets put down. I definitely would knock Tyson Fury out. I can knock Tyson Fury out. There’s no doubts in my mind when it comes to knocking Tyson Fury out, none at all,” Whyte said.